Blank frames color-your-own wallpaper – Hello Adorable! 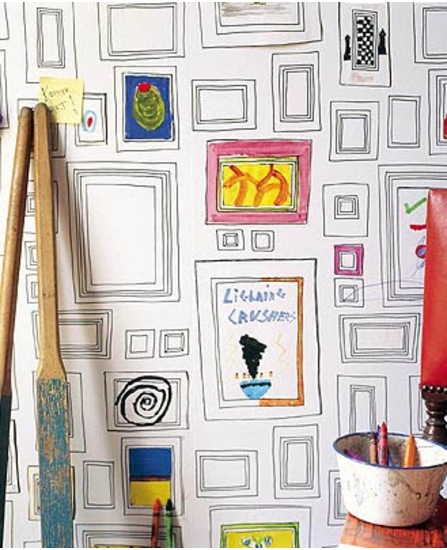 This wall paper gifts your kids the opportunity to create a gajillion little works of art in the blank frames. Find out where to get it at Graham & Brown or get it on Amazon or eBay . Thanks for sharing the beautiful and creative idea to decorate walls with these wallpapers.